We provide Belt Sander in the domestic as well as foreign markets at affordable price on turnkey basis. Our Belt Sander is a heavy duty machine that is highly suitable for sanding 8" x 4' sheet with dust exhausting blower. Its body is made of cast iron that provides it a sturdy construction, which eliminates all unnecessary vibrations and gives a better polish on the surface of boards. We are one of the renowned names in the industry that offers a qualitative range of Industrial Belt Sander Machines. These are ideal for sanding plywood and ply boards. The frame of these machines is fabricated using heavy duty iron and the machine is fitted with dust exhauster. Our range also has a trolley that is made from heavy duty Mild Steel. The channels and trolleys move with heavy duty M.S. bearing reels. 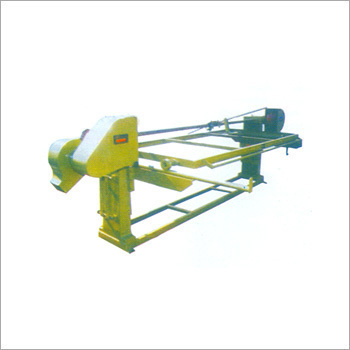 Moreover, owing to these functional attributes, our Industrial Belt Sanders are widely used to sand down wood and other materials for finishing purpose. Looking for “Industrial Belt Sander Machine”?